On this page you can view council home swaps where the tenant actually lives in York. To view more swaps clicks the next page button below. Or if you want to add your York mutual exchange please use the box below. Lovely bungalow,nice aria good buses,near race course. I have a large 3 bed flat on Wains grove in York great location close to some lovely schools tesco and lidle on each end of the street. Brilliant bus route around acomb and also into town. Each rooms in the flat is a very good size two massive double bedroom and a massive single room. Very good sized kitchen and plenty of storage throughout and also huge loft space. 3 bedroomed semidetached house with good sized front and back gardens, with a drive. Recently modernised throughout, new kitchen, bathroom and central heating system, also recently decorated. 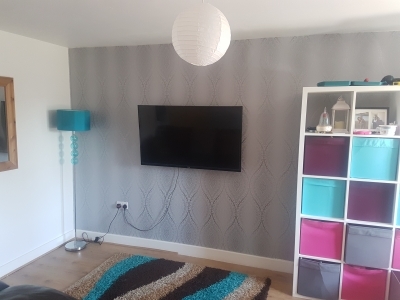 3 BED NEW BUILD Birch park Huntington ¥ END HOUSE ¥ PARKING SPACES ¥ MEDIUM PAVED GARDEN ¥ LIVING ROOM ¥ DOWN STAIRS TOILET ¥ DINING KITCHEN ¥ 2 DOUBLE BEDROOMS ¥ 1 BOX ROOM WITH BUILT IN CUPBOARD ¥ LOVELY NEIGHBOURHOOD WE NEED A LARGE GARDEN BIG ENOUGH TO HAVE A HUT BUILT FOR KIDS. WE HAVE OUTGROWN THIS HOUSE AND NEED MORE SPACE. ESPECIALLY GARDEN SPACE. I have a 2 bed fff in Heworth.ideal for primary schools.shops near by doctors post office.15 min walk into town .hospital near as well ..communal garden.